According to sources familiar with such arrangements, Apple could be preparing a surprise update to its MacBook Pro range. With Intel’s next-gen Core i-Series mobile platform not anticipated to arrive until at least Q2 next year, it is thought that Apple will inject some minor changes to keep consumers happy until then. Apparently, rather than be an improvement of notable significance, the refresh of the MacBook Pro range will marginally increase the speed of the notebooks’ Core i-Series of Sandy Bridge processors, which is reported to be achievable at a minor cost. The source also hinted that the MacBook Pro roster could be tweaked as early as end of the month, filling the gap between the end of the back to school promotion, which ends on September 20, and the October release of iOS 5 and the as-yet unconfirmed iPhone 5. It’s key to remember that nothing is set in stone, so don’t jump the gun and start saving up just yet. That said, it does seem a likely move on Apple’s part in order to keep Pro series in a competitive position until Intel finishes up its next-gen Ivy Bridge platform which was initially due to drop late this year, but has been delayed until at least March/April next year. Despite the paper-thin MacBook Air becoming increasingly popular amongst consumers and selling healthily, the MacBook Pro remains, and shall do for the foreseeable future, as the main source of Apple’s mobile computing occupation. Although the device is somewhat upstaged cosmetically, the discrete graphics and more advanced all-round performance render the MacBook Pro the only option for those seeking the Mac’s frequently celebrated video prowess and general power on-the-go. 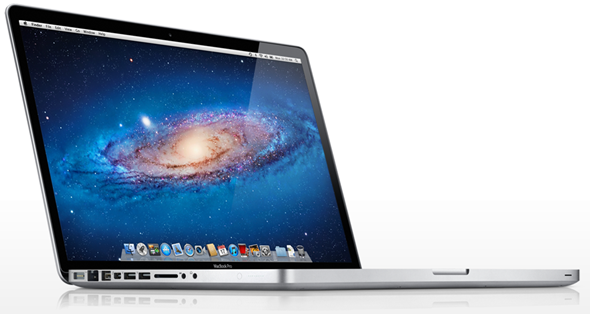 Furthermore, the MacBook Pro is the only Apple-branded notebook to feature a screen larger than 13 inches. While the Air features 11″ & 13″ displays, its upmarket counterpart comes in 15″ and 17″ as well as the more entry-level 13″. With Apple’s track record, though, it seems only a matter of time before it manages to squeeze a notebook of MacBook Pro-standard specs into an Air-esque design. There haven’t been any reports of any changes to the MacBook Air lineup, but as already noted, the Air is the understudy to the powerhouse that is the Pro, finding a home with consumers with less money to spend and engaging in less rigorous tasks.